Breathing treatments are inhaled to treat wheezing, shortness of breath and other respiratory problems. A nebulizer device turns a liquid medicine into a mist you inhale. Another name for breathing treatments is nebulizer therapy. 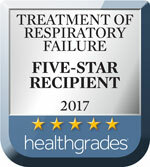 If you’re having trouble breathing, come to Southcoast Health for dependable breathing treatments in Fall River, Fairhaven, New Bedford and Wareham, MA. Our team of expert respiratory therapists and nurses can help determine the best nebulizer therapy for your condition, then teach you how you can implement your treatment at home. Find a doctor near you today for respiratory services that can improve your health and quality of life. Antimicrobial medications treat respiratory infections. Examples are pentamidine (Nebupent), ribavirin (Virazole) and tobramycin (TOBI). Short-acting beta agonists are bronchodilators that quickly relax and open your narrowed airways. Examples include albuterol sulfate (AccuNeb) and levalbuterol HCl (Xopenex). Long-acting beta agonists are bronchodilators that you use in combination with inhaled corticosteroids. Examples include arformoterol (Brovana) and formoterol (Perforomist). Combination medications, including ipratropium/albuterol (DuoNeb). Corticosteroids reduce airway inflammation, including budesonide (Pulmicort Respules). Mucolytics loosen, thin and clear mucus secretions from the lungs. Examples include acetylcysteine (Mucomyst) and dornase alfa (Pulmozyme). Racemic epinephrine treats severe asthma attacks, croup and other emergency breathing situations. Breathing treatments are quick, easy and painless. Medications in mist form are easy to inhale, making nebulizers useful for treating infants, children and others who may have difficulty using respiratory inhalers. 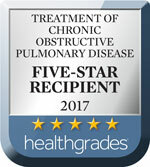 Southcoast Health offers breathing treatments in southeastern Massachusetts and Rhode Island at our hospitals and urgent care facilities. Pulmonologists offices also provide breathing treatments.